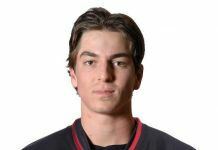 Victoria, BC – The Victoria Shamrocks are excited to confirm that the defensive zone will be a tough place for opponents in 2017 with the signings of Tyler Burton along with Jon and Greg Harnett. All three were key contributors to the Shamrocks ninth Mann Cup national championship in 2015. Jon, 27, joined his brother on the team in 2013 in a trade with the Coquitlam Adanacs and in three seasons with the Shamrocks, “I’m excited to be returning to the Shamrocks and I look forward to battling to get back to the Mann Cup again this year. Our fans are the greatest and they deserve another championship banner.” Jon has played in 51 regular season games and 53 playoff games amassing 50 points. 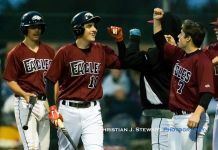 The Harnett brothers have had great success playing with each other throughout their careers. Raised in the lacrosse hot-bed of Orangeville, Ontario, the brothers played their junior lacrosse for the Orangeville Northmen, and together, they won a Minto Cup in 2008. Burton and the Hartnett’s now live and work in Victoria year round and will be back to try and add another Mann Cup to their already impressive resumes. 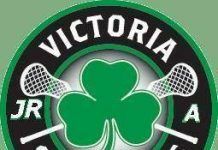 The Victoria Shamrocks first home game is May 19 vs Langley Thunder.